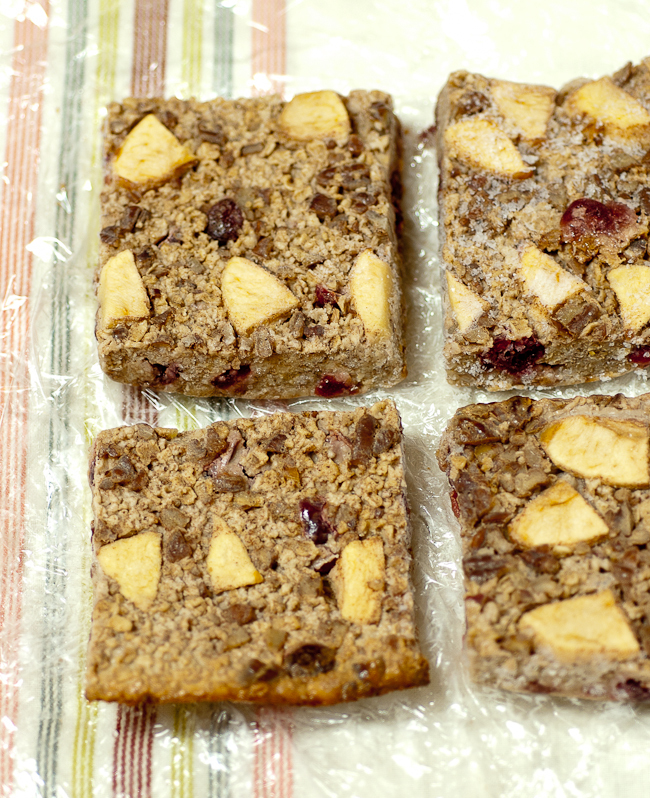 These oatmeal bars are soft and chewy and perfect for a quick morning snack. 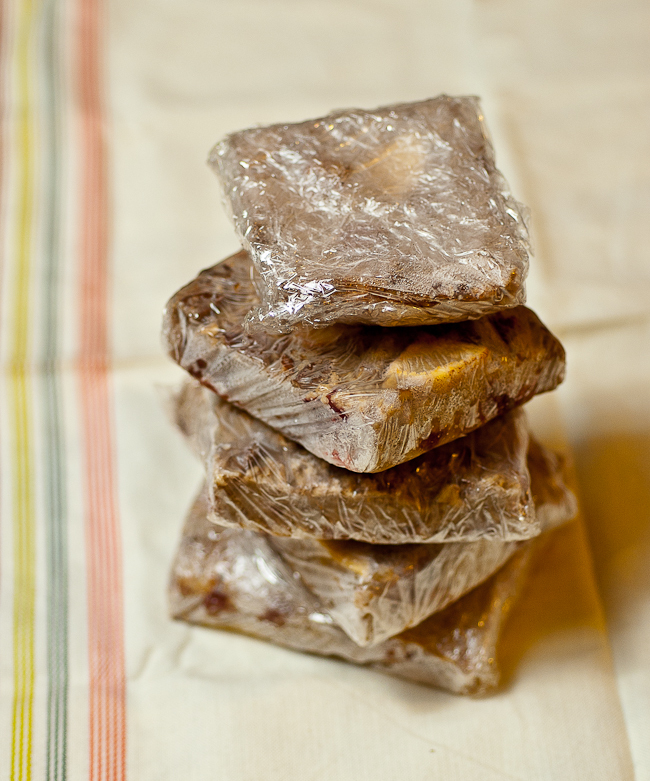 I like to bake mine and freeze them as individual squares. In the morning I pop one into the microwave and chow down on it on my way to work. 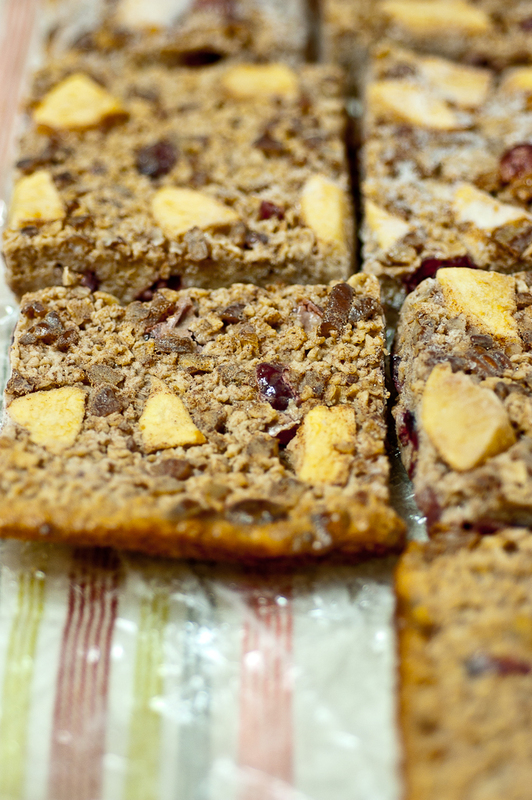 The original recipe calls for raisins but I just add cranberries since I like them better. Feel free to add your favorite fruit and nuts…this recipe is super flexible. Preheat your oven to 180°C (360°F). Lightly oil an 13 by 9-inch baking dish. In a large bowl, combine the oats, sugar, raisins, chopped nuts, cinnamon and salt. Mix well. In a medium bowl, combine the milk, eggs and vanilla. Mix well. Add this to the dry ingredients, and mix until well blended. Pour the mixture into the baking dish, and use a wooden spoon to make sure the solids are more or less evenly spread out. Arrange the apple slices over the surface. They will sink somewhat but that’s okay, they’ll float right back up when the oatmeal cooks. Put in the oven to bake for 55 to 60 minutes, until the center is set and firm to the touch. Let cool slightly : it should be eaten a bit warm but not scalding hot. Cut in 8 servings, and serve with yogurt and fruit if desired ; it is also nice with a thin spread of jam or peanut butter. Store the leftovers in the refrigerator, tightly covered, or wrap each serving individually and put in the freezer. You can then take a serving out the night before and leave it to thaw until the morning, when a 30-second stay in the microwave will bring it to the perfect temperature. Original recipe by Quaker Oats. Thank you SO much for this recipe… This is my first time baking anything, it turned out awesome! We are all hooked now at home 🙂 ! Can you tell me if the cooking time or temperature would change for two pans of this stuff being baked at once? i made these last night for my roommate that just found out he had hypertension and high cholesterol. i subbed the brown sugar for honey and used peanuts, dried cherries, fresh apples, fresh bananas and flax seeds. everyone in the house loves them…though i'm dying to try them with brown sugar XD.